Charlie Bond was born on April 22, 1915, in Dallas, Texas. He enlisted in the Texas National Guard on July 21, 1932, and served until February 11, 1938. Bond next went on active duty as an Aviation Cadet with the U.S. Army Air Corps on February 28, 1938, and was commissioned a 2d Lt and awarded his pilot wings at Kelly Field, Texas, on February 1, 1939. He flew bombers until leaving active duty to join the American Volunteer Group, the Flying Tigers, in China on September 15, 1941. Between December 1941 and May 1942, Bond was credited with the destruction of 7 enemy aircraft in aerial combat plus 3 probables and 1 damaged, and another 2.5 destroyed on the ground while strafing enemy airfields. He left China when the Flying Tigers were disbanded in July 1942, and he rejoined the Army Air Forces on October 12, 1942. Maj Bond served as commander of the 81st Fighter Squadron of the 50th Fighter Group at Orlando AB, Florida, from November 1942 to September 1943, and then served as the Chief of the Air Division for the U.S. Military Mission to the U.S.S.R. in Moscow from October 1943 to October 1944. Col Bond served with Headquarters 2nd Air Force at Colorado Springs Army Airfield for the rest of the war and then received an Air Force Institute of Technology Assignment to Texas A&M University where he received his Bachelor's degree in management engineering in 1949. His next assignment was as Chief of the Current Operations Division with Headquarters Air Defense Command at Mitchel AFB, New York, followed by service as Chief of the Air Defense Plans Branch with Headquarters Continental Air Command. He attended Air War College at Maxwell AFB, Alabama, from January to July 1951, followed by service as director of Air Defense and then deputy for operations with Headquarters Northeast Air Command and Commander of the 64th Air Division at Pepperrell AFB, Newfoundland, Canada, from August 1951 to May 1954. Col Bond served as Assistant Deputy Chief of Staff for Operations with Headquarters Continental Air Defense Command at Ent AFB, Colorado, from July 1954 to September 1957, and then as Commander of the 25th Air Division at McChord AFB, Washington, from September 1957 to August 1959. 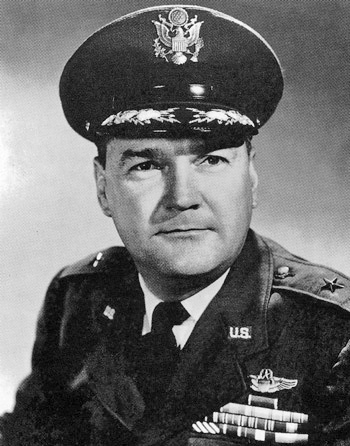 Gen Bond next served as Commander of the 28th Air Division at Hamilton AFB, California, from August 1959 to July 1960, followed by service as Commander of the San Francisco Air Defense Sector at Beale AFB, California, from July to September 1960. 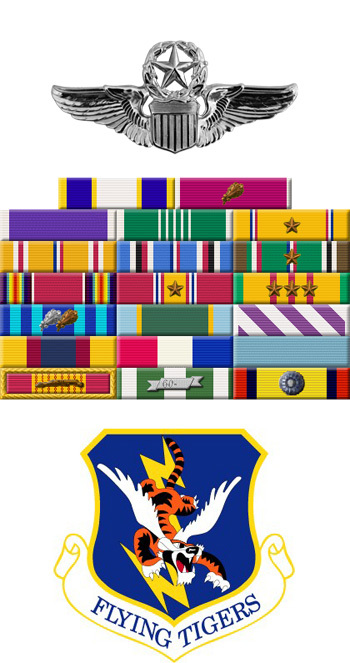 He served as Deputy Commander of 5th Allied Tactical Air Force in Vicenza, Italy, from September 1960 to June 1963, and then served as Vice Commander of 9th Air Force at Shaw AFB, South Carolina, from July 1963 to December 1965. His next assignment was as Deputy Commander of the 2nd Air Division at Udorn Royal Thai AFB, Thailand, from January to April 1966, followed by service as Deputy Commander of 7th and 13th Air Force, also at Udorn, from April 1966 to May 1967. Gen Bond's final assignment was as Commander of 12th Air Force in Waco, Texas, from July 1967 until his retirement from the Air Force on August 1, 1968. Charlie Bond died on August 18, 2009.